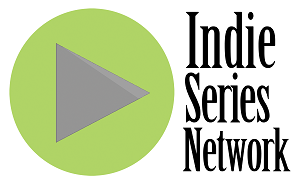 The results are in from the Indie Series Network's Web Series of the Week poll for January 18-24, 2015. Pretty was voted favorite web series for the week. A new episode of The Socialist was second, followed by the the season finale of About Us, and the series premieres of Baseline and D.C. Yuppies. The acting favorites were Becky & Barry's Matthew Cornwell and Pretty's Dee Freeman, and the favorite couple/duo was Ribina & Lily from Pretty. Matthew Cornwell (Barry Thompson in Becky & Barry) was voted Favorite Actor for the week. Dee Freeman (Ribina Champagne in Pretty) was voted Favorite Actress of the week. The Favorite Couple/Duo for the week was Ribina & Lily from Pretty. - Becky & Barry Season 3 Episode 2 "The Pilot"
- Flip & Glib...and the Theory of Everything Episode 6 "Event Horizon"
- How I Seize It Episode 148 "Civil Disobedience"
- The Socialist Episode 10 "#Crazy Weather"
- Triangle Episode 11.5 "How Does it Taste"
- Weblog Episode 5 "The Geek"
* Nominations will be revealed on an episode of Serial Scoop Now airing at 3 p.m. ET on Wednesday, February 4. * This year's ceremony is returning to the historic El Portal Theatre on Wednesday, April 1, hosted by Days of our Lives Emmy winner Eric Martsolf.